Extremely nice & updated Villa. Very quiet location. Our family really enjoyed staying in this home. Very clean and up to date. The neighborhood was very quiet and convienently close enough to amenities, restaurants and Fort Myer area attractions. The salt water pool was well maintained and a bonus to have. We weren't able to give this home 5 stars however. The spa tub attached to the pool did not function properly and was not fixed as promised after reporting it to the property manager. There was also a hidden electric fee listed in the check in book not disclosed in the property description prior to renting. Fortunately we did not go over the allotted amount for the rental period of $50. Especially since we were charged a $50 damage claim for 4 towels due to some discoloration from my daughter's acne medication. We definitely could have replaced them for a fraction of that amount. The 5 of us "children" met for a family get-together for a long weekend. It was the perfect place for us to gather. Beautifully kept, designed and the layout was great for quiet time and gathering time. Very nice home. Everything you would need was there. Plenty of towels, etc. We didn't have time to use everything as we were there for a family event so weren't at the house alot but would rent it again! 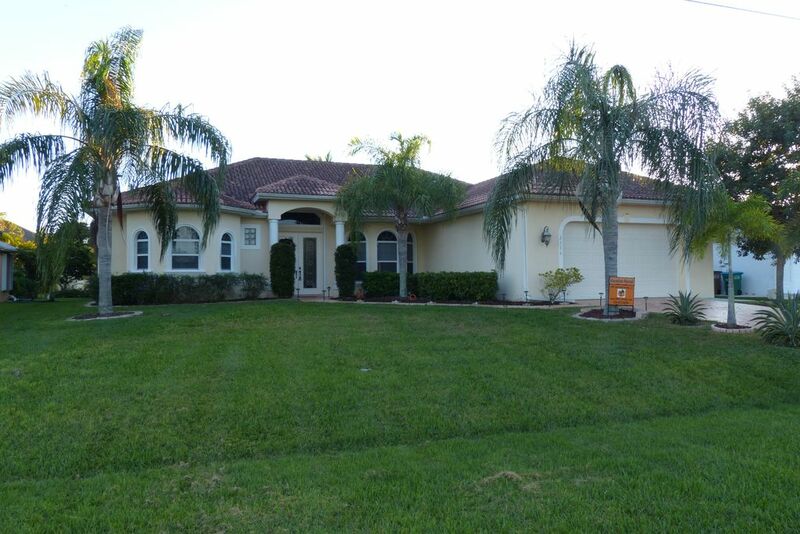 Very very nice.. the heated pool was the best... this house has everything you will need and more.. I will be back!!! The initial communication with the owner was difficult because I think he speaks another language but once we got there everything was perfect the house was perfect it was well-groomed and we had a wonderful time. Fantastic home in a quite neghiborhood. We rented this home for 4 days while in town for business. The home was everything we expected. We arrived early and hung out by the pool while the house cleaner finished. She left everything absolutely spotless. We had a couple of meetings while in town and spent the rest of the time in the pool or hot tub. If we are in this part of FL again we will definitely book this house again. The house was very nice and centrally located near many restaurants, stores and attractions. The screened-in pool and hot tub made for a relaxing and clean relaxation area. Highly recommended. 980 $ / Woche = 140 $ / Tag Endreinigung: 150,00 Dollar und 11 v. H. Tax. Kaution: 300,00 €.